Belying their reputation as the dumb cousins of early modern humans, Neanderthals created cave art, an activity regarded as a major cognitive step in the evolution of humankind, scientists reported on Monday in a paper describing the first discovery of artwork by this extinct species. The discovery is "a major contribution to the redefinition of our perception of Neanderthal culture," said prehistorian William Rendu of the French National Centre for Scientific Research, who was not involved in the work. "It is a new and even stronger evidence of the Neanderthal capacity for developing complex symbolic thought" and "abstract expression," abilities long believed exclusive to early modern humans. In recent years researchers have discovered that Neanderthals buried their dead, adorned themselves with black and red pigments, wore shell and feather jewelry and cared for the elderly and infirm, all evidence of complex thought. But no unambiguously Neanderthal art was ever found. The new study, published in Proceedings of the National Academy of Sciences, could change that. Researchers from 11 European institutions reported that deep in Gorham's Cave in Gibraltar, overlooking the Mediterranean Sea, they found carvings that resemble nothing so much as a rococo Twitter hashtag: eight partially crisscrossing lines with three shorter lines on the right and two on the left, incised on a shelf of bedrock jutting out from the wall about 40 centimetres above the cave floor. The engraving is covered by undisturbed sediment that contains 294 previously discovered stone tools. They are in a style long known as the signature of Neanderthals, who had reached Europe from Africa some 300,000 years ago. Standard techniques had dated the tools at 39,000 years old, about when Neanderthals went extinct, meaning the art below it must be older. Modern humans, who painted the famous caves at Lascaux in France and Altimira in Spain, by then had not reached the region where Gorham's Cave is located. The researchers ruled out the possibility that the engravings were accidental or from cutting meat or animal skins. Instead, they were made by repeatedly and intentionally using a sharp stone tool to etch the rock, reflecting persistence and determination: one line required at least 54 strokes and the entire pattern as many as 317. "This engraving represents a deliberate design conceived to be seen by its Neanderthal maker and, considering its size and location, by others in the cave as well," anthropologist Clive Finlayson, director of the Gibraltar Museum, and his colleagues wrote. "It follows that the ability for abstract thought was not exclusive" to modern humans. 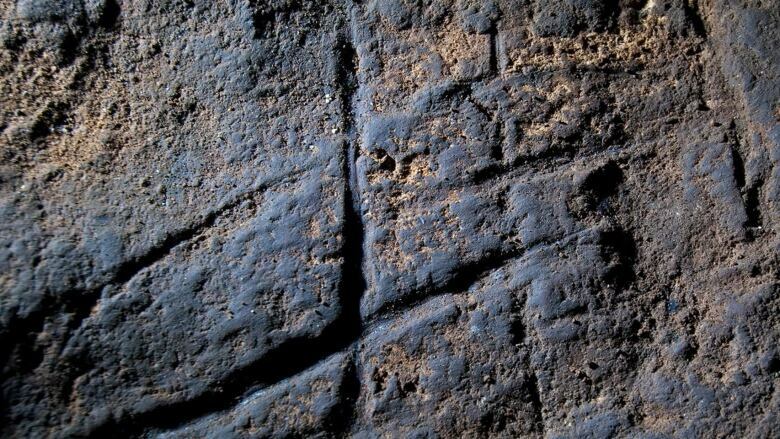 Another hint that Neanderthals created art came in 2012, when archaeologists dated simple wall paintings (mostly red dots and hand stencils) in Spain's El Castillo Cave to 41,000 years old. That made them the world's oldest prehistoric art and old enough for it to have been made by Neanderthals. But because no artifacts were found, it was not possible to definitively rule out modern humans as the artists.